Millions of innocent babies die at the hands of abortionists every year. And since 1973, this slaughter has been legal and defended tooth-and-nail by radical progressives who think a child is a choice, not a life. Now the largest abortion organization in the nation has an announcement to make, and the hypocrisy continues. This week, abortion giant Planned Parenthood chose a new president to head the organization, months after the surprise resignation of Cecile Richards. So who will lead the organization, and what does it mean for the unborn? Leana Wen will take the reins at Planned Parenthood in mid-October after she leaves the Baltimore, Maryland Health Department where she has worked since 2015. 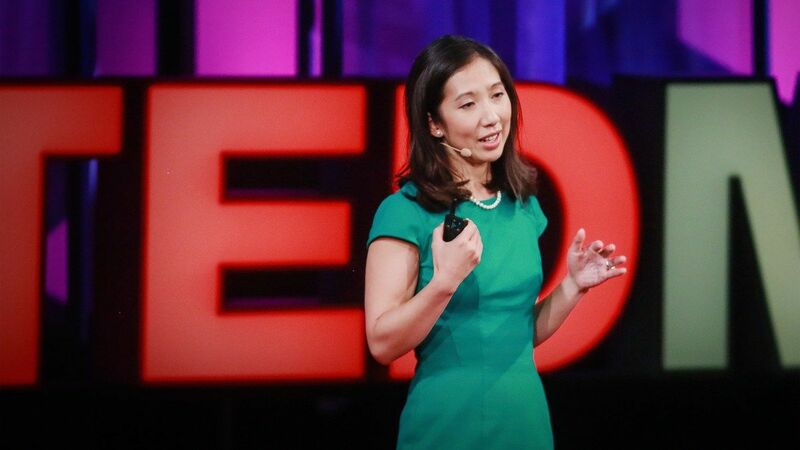 Prior to her appointment as the Baltimore Health Commissioner, Wen was the Director of Patient-Centered Care at George Washington University’s emergency department. She has taught medical students and worked with media outlets to share her medical knowledge. So much for the Hippocratic Oath – an oath that Wen must have taken at some point working in her career in medicine. Apparently, this is one physician who believes that “first, do no harm” doesn’t apply to unborn children. But Planned Parenthood is heavily pushing Wen’s extensive medical experience to give credence to their organization as one that provides “health care” to women who need it. Wen is known for her leadership in a lawsuit between the city of Baltimore and the Trump administration over the president’s elimination of government funding for facilities that provide abortions. At the heart of the suit was funding for the prevention of teen pregnancy. A judge, siding with the city, ordered a 5 million dollar grant restored for two teen pregnancy prevention programs in Baltimore as a result. The programs include access to information on abortion as an “option” for teen pregnancy. Wen, as well as Planned Parenthood under Cecile Richards, also denounced the State Department’s move to pull funding from the United Nations Population Fund (UNFPA) because of its part in China’s forced policies to control population. And Wen’s background is also ironic. She came to the U.S. as an eight-year-old child from China, saying her family “fled” the country and that they were granted asylum here – but no concrete reason for their move is given. Could it be that China’s One Child Policy of forced abortion, especially of girls, was at its height when they escaped? We may never know, but the irony is not lost on us. Why would someone who has vowed to save lives and who experienced the horrors of that communist country — the forced abortions and destroyed families — decide to head an organization that supports that agenda? And China has been at the top of the list. Wen also states that once in the U.S., her family survived on government assistance and “healthcare” from Planned Parenthood clinics, yet gives no specifics on what type of care that entailed. Comments from pro-lifers express what we all know to be true. A new president at the head of Planned Parenthood won’t change their mission, and the fact that a doctor who is supposed to protect lives is excited to take the reins reinforces their hypocritical stance that they are a “healthcare” organization. Wen claims to be an advocate and fighter for women’s empowerment, health, and safety. But killing a child is not empowering, and as a physician, Wen’s new career choice is a slap in the face to medical professionals who fight to save each and every life they can. It remains to be seen what, if any, changes will occur at Planned Parenthood, but one thing is clear: their slaughter of the unborn will continue, just with a new captain at the helm. What do you think of the appointment of a medical doctor to the presidency of Planned Parenthood? Leave us your comments.